I got to go shoppingggggg! At my first pro stooooore! And it was AWESOME! One of the things I have been looking forward to the most around nail school is that when I'm done I'll be able to get pro discounts and go to pro warehouses to get my stuff! So imagine my joy when a few classmates said we should make a trek out before we even graduated... Lemme tell you, I was SO EXCITED! So here's a look at my first haul! I'm not going to tell you how much I spent, because... I spent a fair amount of cash. Haha. It's an investment! The first thing I got was the same gel system we use in class for enhancements (aka extensions). 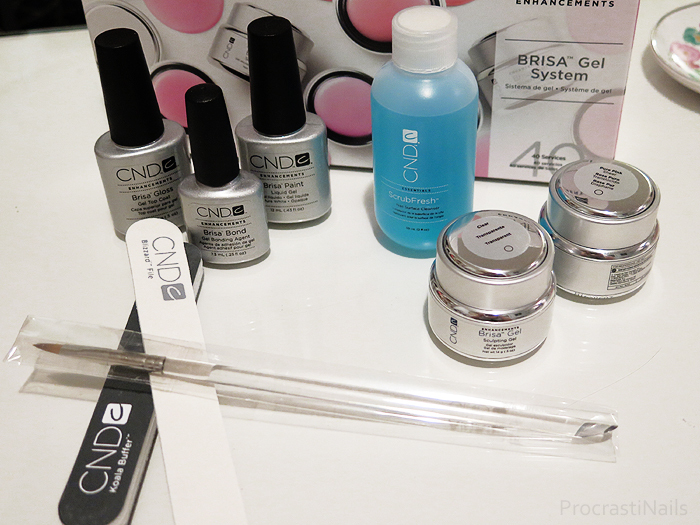 I've also signed up for a Master Sculptor course with CND to learn more about enhancements which uses this kit as well. Next up I got some basic nail care equipment. I got two different grits of files (240 for natural nail shaping and 100/180 for enhancement reduction). I also got another set of the tools we use in class - we had two sets in our kit but because I practice on friends outside of class and don't always have time to sterilize before class I thought it was a good idea to get a third set. 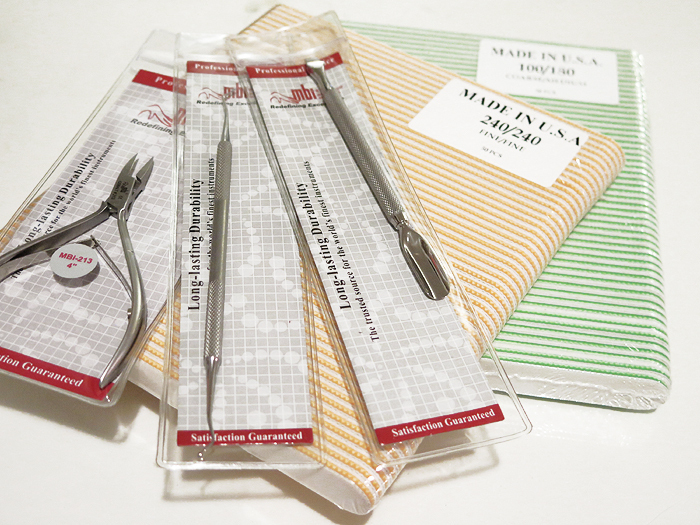 I got cuticle nippers, an excavator and a cuticle pusher. Speaking of sterilizing tools, I no longer have to wait to get to class to get my tools ready! 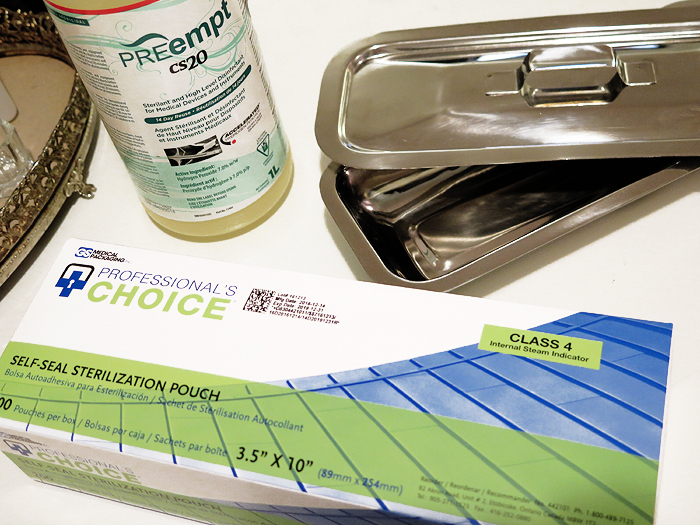 I got a bottle of CS20 (a high level disinfectant and sterilent - the one we use in class), a metal cleaning tray and a large pack of sterilization pouches to put the clean tools in. Next up I got 20 OPI GelColor polishes, which was quite an investment but was totally worth it because 1) I didn't own any gel polishes, and 2) it was a promo that let me get a free OPI LED light at the same time. :) So it was a saving, ultimately! I got 17 different colours, plus a top coat, base coat, and matte top coat. And of course, I already want more! As mentioned above, this beauty was FREE! :) And it retails for $490, so I'm super pleased with my purchase! 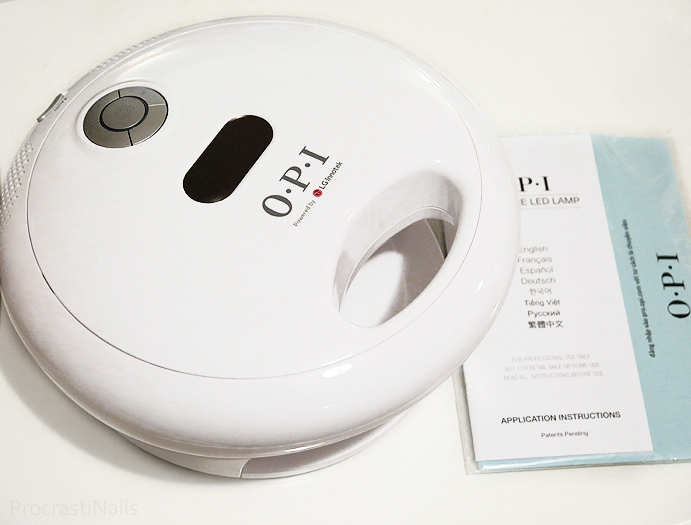 I've already used it a few times and I love it as well as the OPI GelColor polishes. So, on a scale of 1 to 10 how happy am I? 50 MILLION. The store was so big and amazing and overwhelming and I want to buy all the things! Ahhhhh!! Next round I definitely want to get some gel pots, and I want to get some tips and forms for enhancements as well. I have an update on my nail school journey coming up for you next week. I have finished the manicure class, and just started on pedicures! :) So I have lots to tell you about fo sho! Some nice products from this brand!